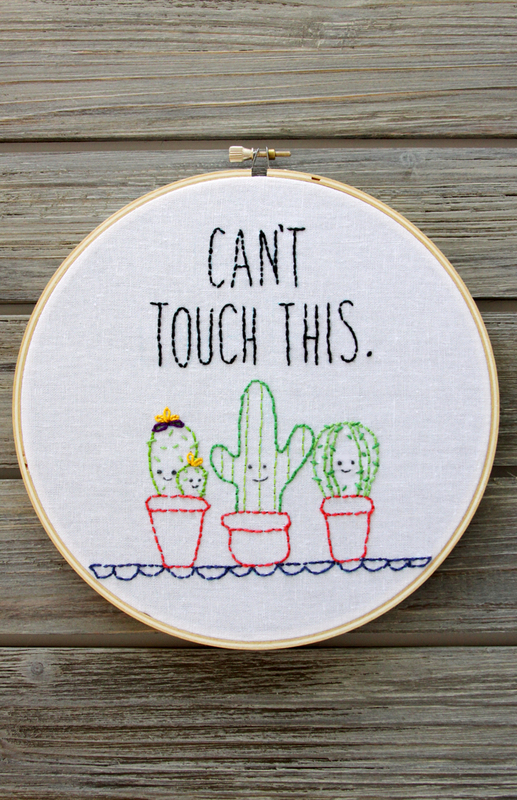 Summer is such a great time to try a new craft and this easy and cute cactus embroidery hoop art is the perfect project for a beginner, if you’ve never tried embroidery before! 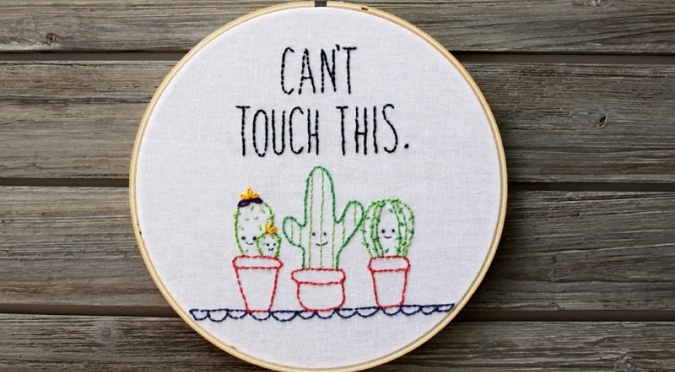 I grew up in Arizona and when we moved away, I was very happy not to see a cactus on every corner. 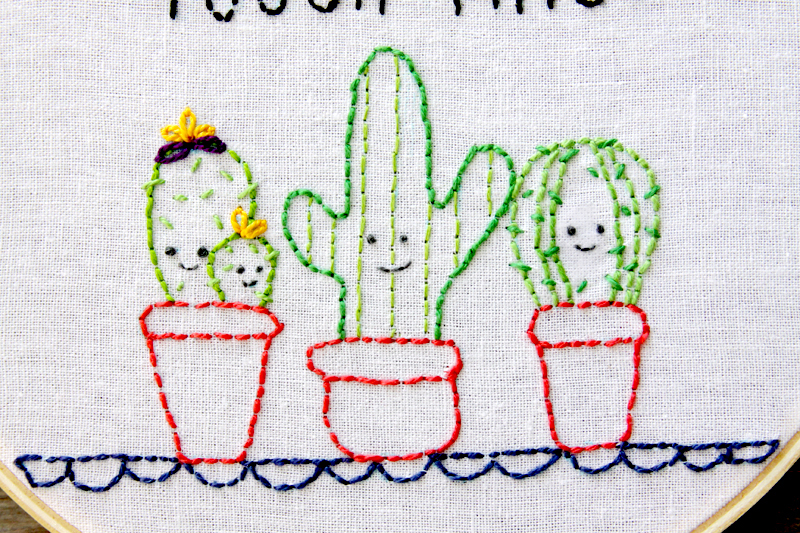 But lately I’ve been loving them – and these little embroidered cactus plants with their sweet little smiles were so fun to stitch up! 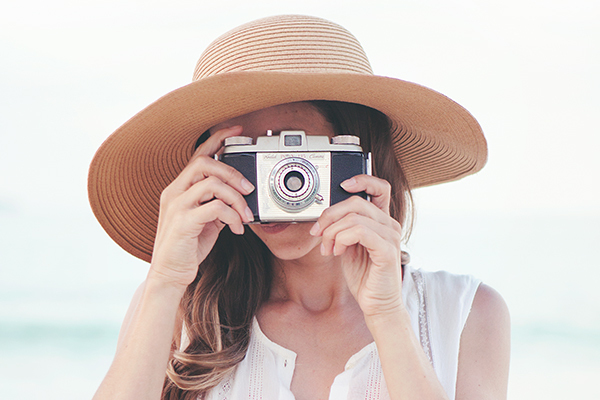 Embroidery is a great project for taking on the go, too – you can stitch away on road trips or take along camping! 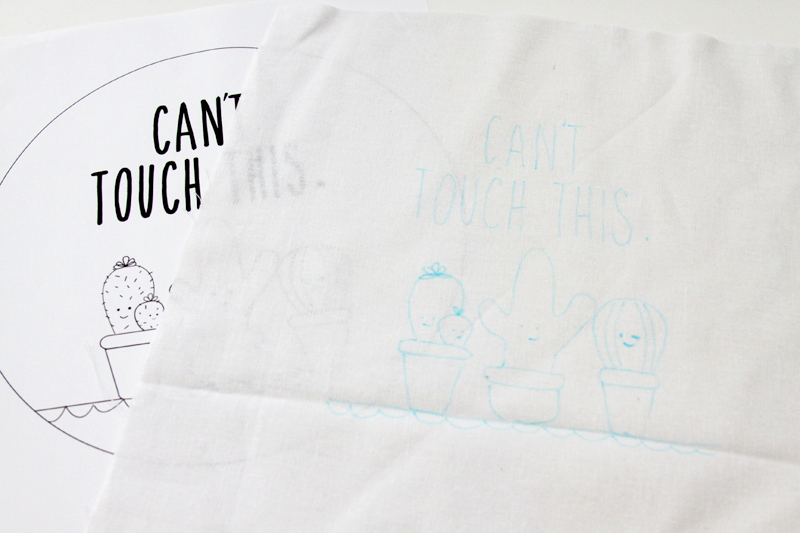 Using the disappearing ink pen, trace the embroidery pattern onto the white fabric. You can do this by taping the pattern in a window, then taping the fabric over it. This will allow the light to show through the pattern so you can trace the design. 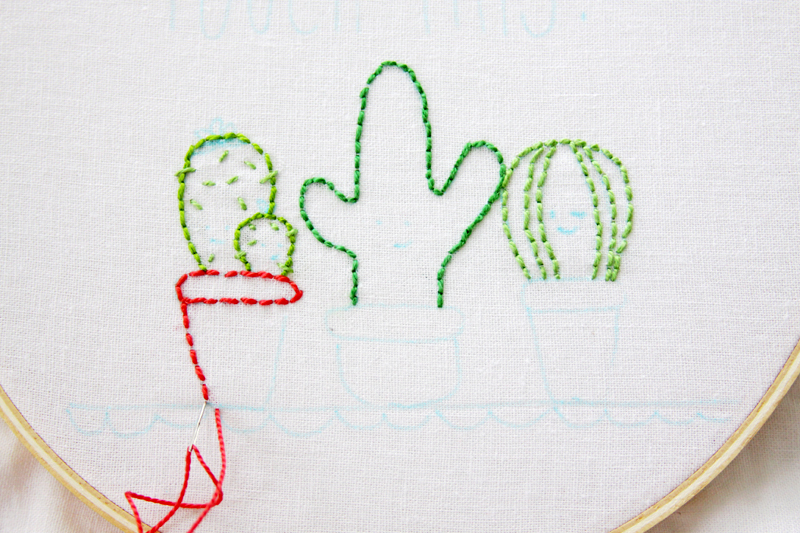 Stitch the pattern using a back stitch for all the cactus designs. 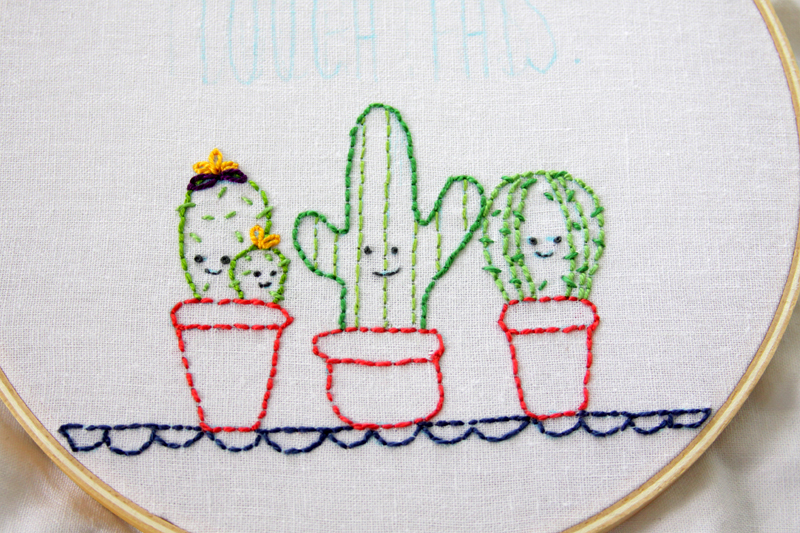 If you need instructions for the stitches, check out my Embroidery Tips page. 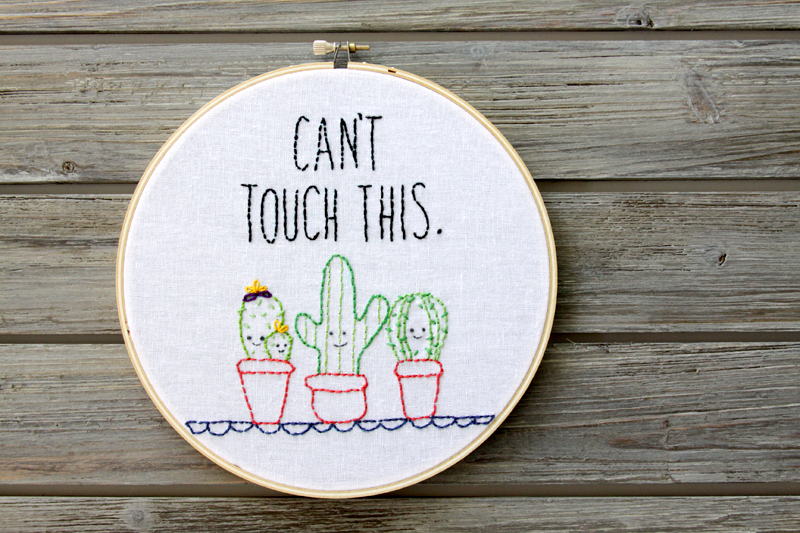 For the eyes and mouths of the cacti, use 2 strands of gray embroidery floss. 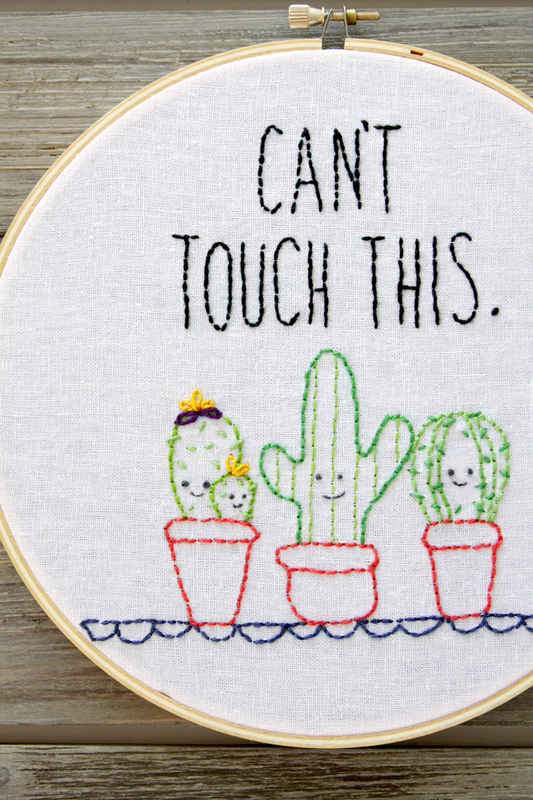 Stitch french knots for the eyes and backstitch the mouth. 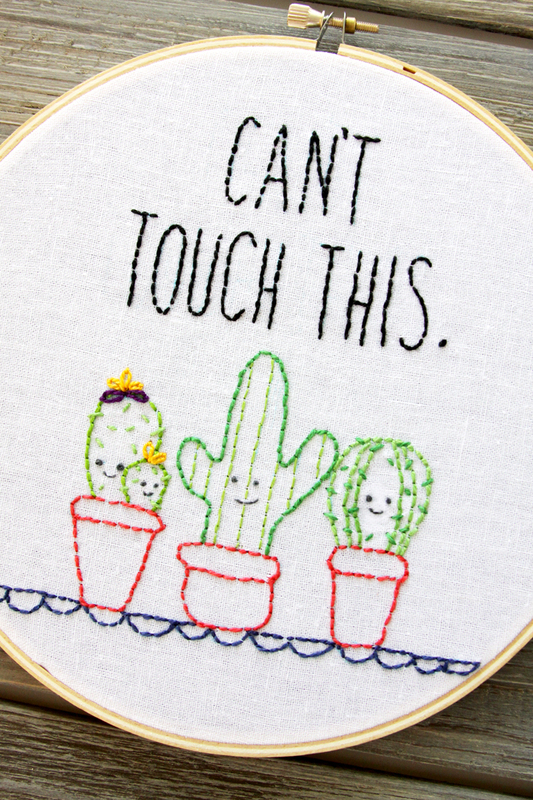 The flowers on top of the little cactus on the left side are made with lazy daisy stitches. 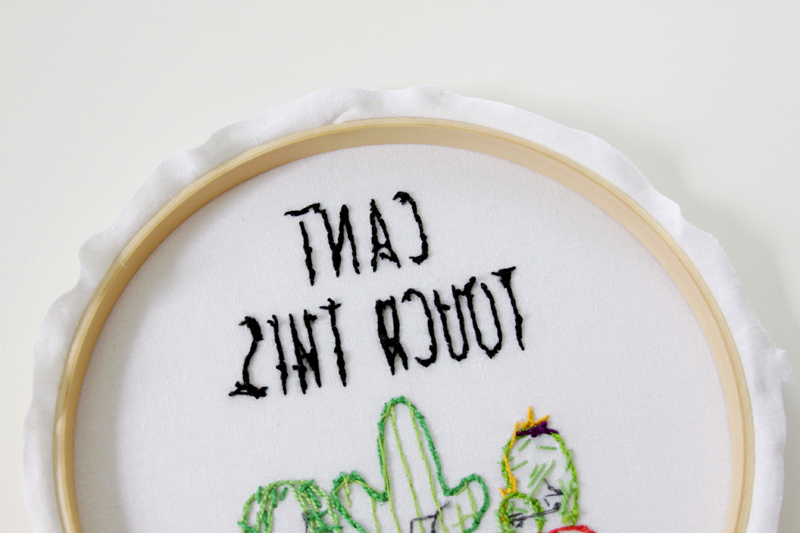 Stitch the lettering with back stitch as well. 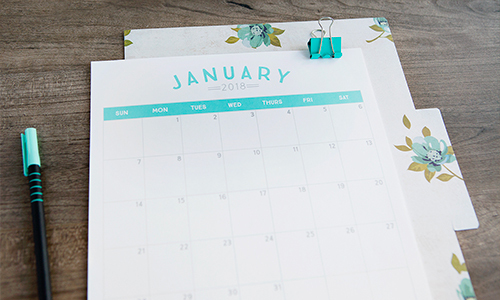 Once your embroidery is all finished, remove any marking pen lines that show with a damp paper towel. 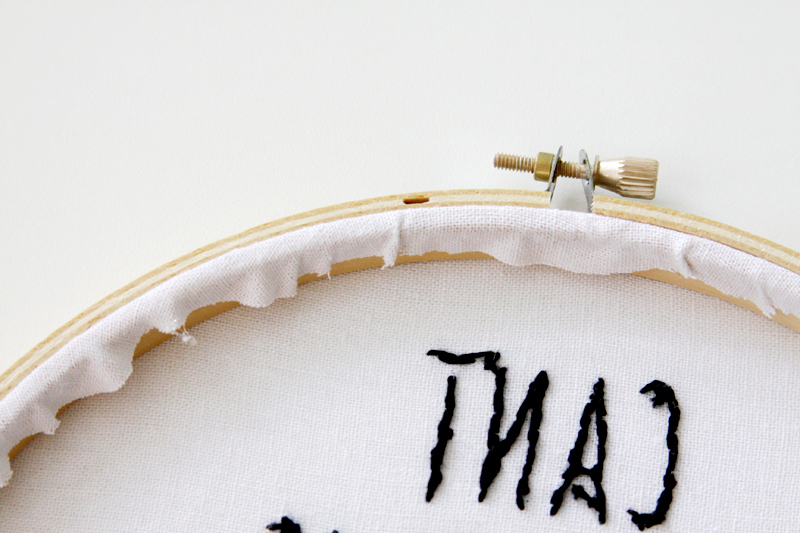 Trim the fabric to 1/2″ around the hoop on the back side. Glue the edges to the inside of the hoop on the back side. You can also finish the hoop by gluing a circle of felt to the back side of the hoop. That’s it! 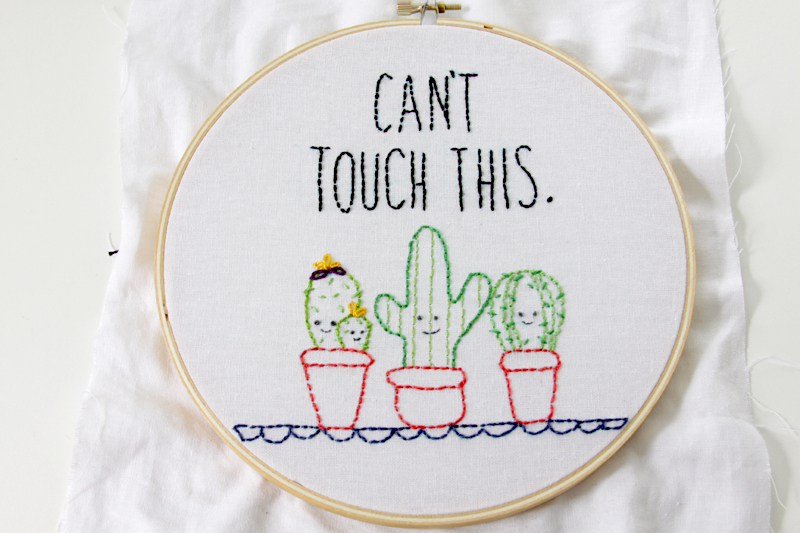 You have a cute new embroidery hoop to show off – or to give as a gift! I’d love to see it if you make one up!